When defining service portfolios in a highly competitive market, it is crucial for multi-tenant data centers (MTDCs) and hosting providers to put customers center-stage. From a customer’s perspective, value is determined by the service quality, associated delivery parameters, and a clear presentation of the options available (i.e. variants such as space, power, storage, third party services, hybrid options, version of IP, access, security, remote hands, back-up, etc. ), performance, contractual terms and pricing. To be successful in the competitive colocation market today, colocation providers must differentiate themselves with emerging connectivity services and develop a well-defined product and service portfolio. Though there are many different types of connectivity services that data centers can sell to their customers – all are derived from two basic forms of connection: intracolocation and intercolocation. The ability to provide customers with new digital services while managing the associated infrastructure customers require presents an opportunity to transform your airport into the hub of choice, even as pressure from competition intensifies. Providing superior service starts with gaining a clear and precise overview of your airport’s valuable IT infrastructure and cable network assets. Sean Graham, was recently featured in Aviation Pros to provide insight on industry-specific solutions for airports in today’s digital age. Click here to read the full article. We recently briefed Dennis Drogseth, Vice President of Enterprise Management Associates (EMA) on how our product FNT Command enables enterprises and service providers to manage all aspects of data centers. Demand for MTDC/Hosting is set to increase over the next few years as Europe “catches up” with the US in terms of Enterprise outsourcing and cloud. As space and power have been commoditised, being able to differentiate with new business and financial models will mean the difference between success and failure. Over the past several years, 451 Research has tracked FNT Software as a DCIM supplier. 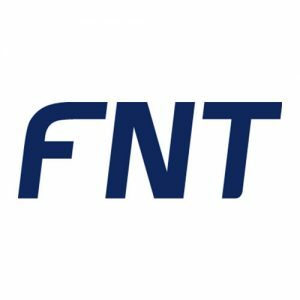 Recently, analyst Andy Lawrence and his team at 451 Research published a report on how FNT meets the growing demand for tools to manage intra- and inter-data center networks. Digitization seems to be the flavor of the moment. While experts debate the virtues of bimodal IT, hyperscale data centers, and the emerging ubiquity of the Internet of Things, our guest poster considers digitization and its global impact from a totally different perspective: What needs to change as a company goes digital – its infrastructure or its people?